Every investment strategy has tax implications. That's why we leverage the combined expertise of Kroon & Mitchell Asset Management and Kroon & Mitchell Certified Public Accountants. Two disciplines that work together for your overall financial success and security. 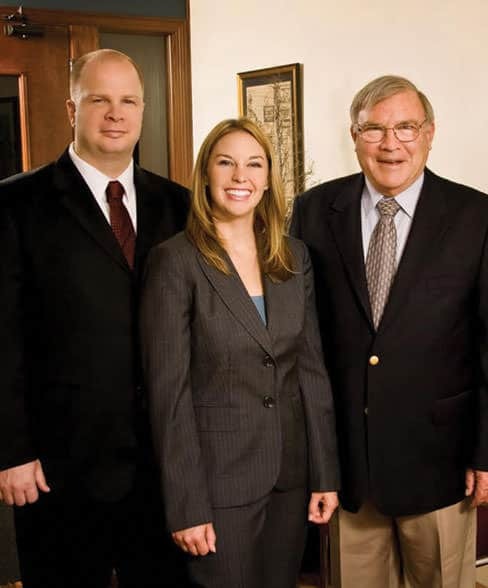 With 50 years of combined experience in tax and investments, Kroon & Mitchell associates are leading experts in the Grand Rapids area - helping you manage your assets and financial well-being, today and in the future. We offer tax preparation and financial planning which allows us to build strategies tailored to you and your family. Kroon & Mitchell offers the ONLY Certified Public Accountant (CPA) and Chartered Financial Analyst (CFA) professional in Grand Rapids, Michigan. There are acronyms, letters and certifications behind every financial advisor’s name but these are the ONLY two that matter. These designations present a level of education, experience and business acumen that is second to none. At Kroon & Mitchell we have investment experience researching, planning and advising over a billion dollars in assets. Through our firm we’re able to bring that knowledge and experience to an individual level. If you’re unsure of your current tax or investing partners experience and knowledge we recommend starting a conversation by asking these five questions. Managing your finances isn’t a task you should take on by yourself. Kroon & Mitchell’s financial and investment advisors have the knowledge and CPA & CFA experience to help you develop a financial strategy. If you’re ready to take your tax and investment strategy to a new level, schedule your first consultation today. Building wealth starts with your taxes. At Kroon & Mitchell we built our business on developing tax strategies that are specific to each individual, family or business. We offer tax preparation for individuals, businesses, partnerships and estates. Even if you’re not ready to invest with us, we will prepare your taxes to ensure long term financial success. Every investment strategy has tax implications. Whether we file your taxes or work closely with your accountant, it is vital to evaluate your taxes to make a sound financial plan. Our decades of experience managing and advising on over a billion dollars in assets is our proven track record. We offer the ONLY professional in Grand Rapids that has earned both the Charter Financial Analyst (CFA) and Certified Public Accountant (CPA) status. The CFA designation is widely considered to be the highest investment industry standard; proving our experience, knowledge and business acumen. You wouldn’t hire someone who wasn’t a CPA to do your taxes would you? Your investment strategy should start with your taxes. Whether you start by reviewing your tax plan or your investment plan the two go hand in hand. At Kroon & Mitchell we take a holistic approach to your full financial picture to ensure success in all areas. If you’re unsure if your financial advisor is a best fit for your needs ask them the following questions. Follow our guide to what their answers should be. 9 Tips to Improve your Current 401k Investments. When's the last time you really looked at your 401K investments? Take control of your 401K by following these tips.